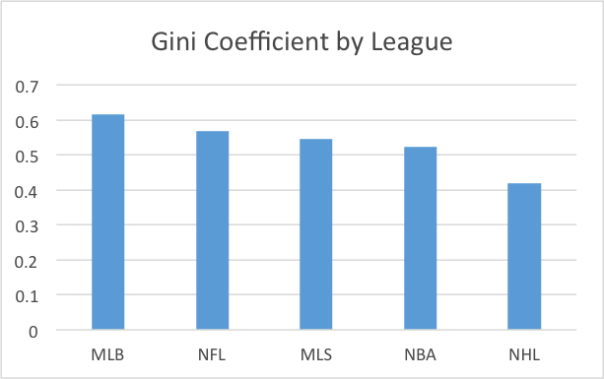 The Harvard Sports Analysis Collective (yes, there is such a thing) has done an interesting little analysis of sports salaries and finds that the MLS is actually mid pack in terms of one measure of income inequality: the Gini coefficient. This is interesting in itself – the league with a tight salary cap and legions of low paid employees is actually more unequal than the NBA? Can it be? Well, the Gini in this case is a little deceiving. Fortunately the HSAC has also plotted out the Lorenz curves for each league. What you see here is that the MLS curve is relatively flat and then has a huge upswing at the end. Without getting into the details, this tells us that there are lots of relatively equally low-paid players in the MLS and a very few extremely well compensated ones (the Thierry Henris and Clint Dempseys of the league). The astute econ majors will note that when Lorenz curves cross (as they do for the MLS with the MLB and NFL, for example) that the Gini is not a good relative measure of inequality. It becomes more subjective. So we can see from the bottom graph that the top graph is not really informative. But the MLS dynamic is really about how many players earn low five-figure salaries, so when the big stars come in to the league under the designated player rule which allows their outsized salaries not to count against the salary cap. Whereas in leagues like the NBA the minimum player salary is high enough to maintain an income distribution that is more equal. 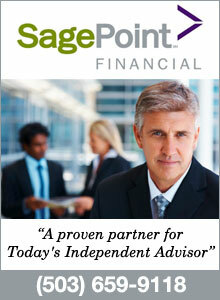 Perhaps this is a comment on the relative strength of the players unions? The MLS players union has the challenge of representing players whose sport does not yet generate the television ratings to generate large revenues and thus significant movement on minimum player salaries seems unlikely for the foreseeable future.